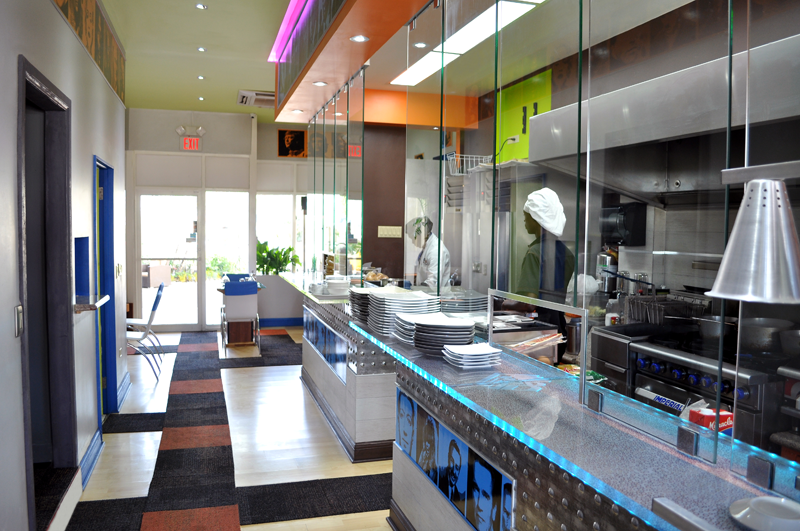 FACEBAAR – Restaurant | Montego Bay, St. James Clean-line, modern, and tropical were a few words my client used in describing his vision. We designed the indoor tables and banquet seating to reflect this. The wooden table base features an art box below the glass top. 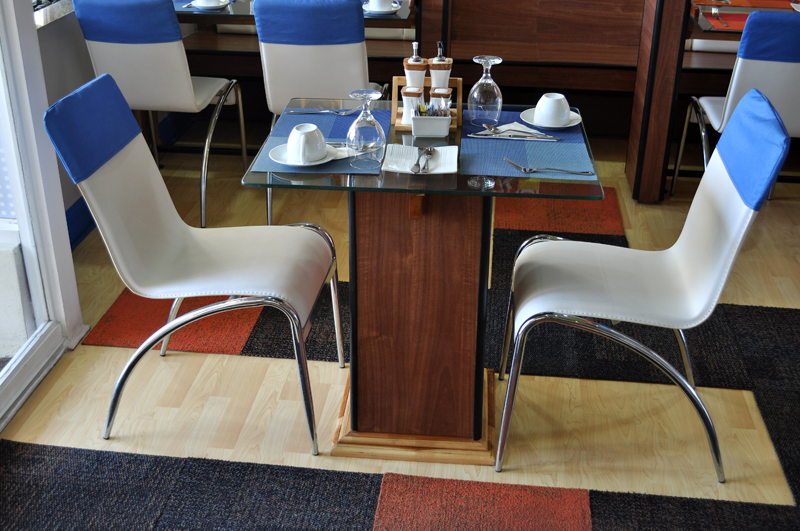 We pair it with these gravity defying chairs. 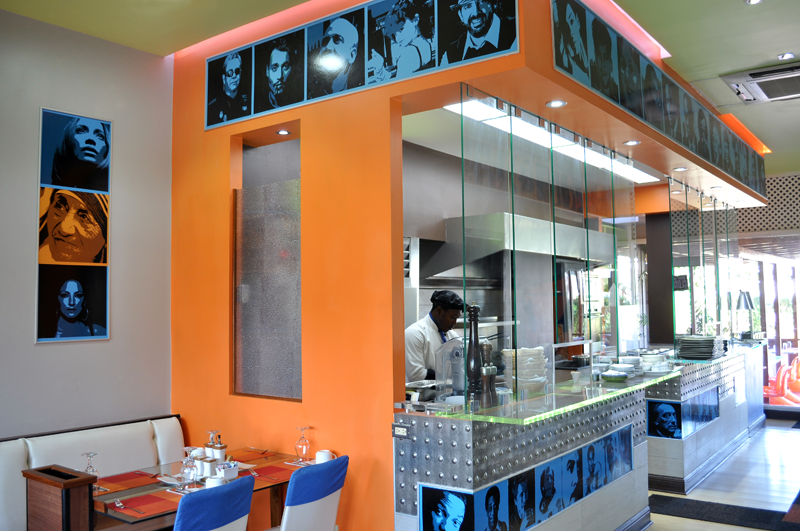 FACEBAAR – Restaurant | Montego Bay, St. James Some say the “design is in the details”, we believe “ the details are in the design”. 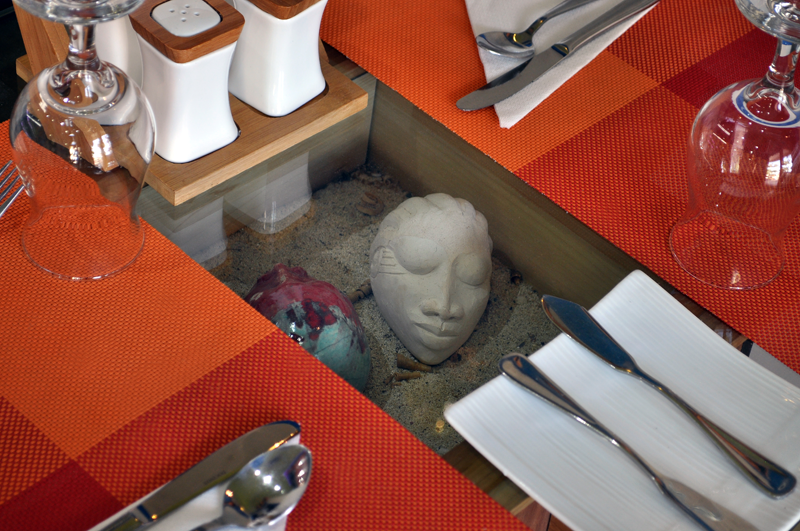 The sunken art box in this Peter E designed dining table features sand from the Caribbean Sea and exquisite mask from renowned artist, Gene Pearson. 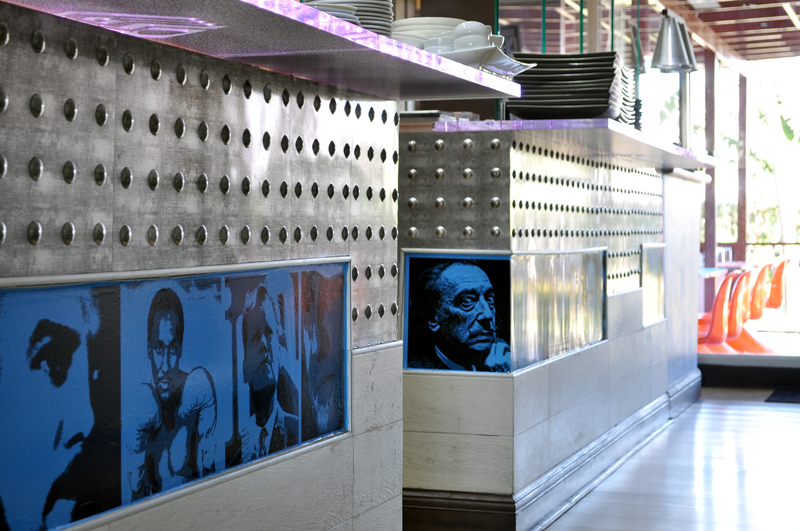 FACEBAAR – Restaurant | Montego Bay, St. James The restaurant features faces of famous people. Here we incorporated this feature in the bar wall of the semi-open kitchen. The bar features multiple, durable easy to maintain materials, harmonizing to bring beauty to function. FACEBAAR – Restaurant | Montego Bay, St. James The covered outdoor dining space has acrylic table bases, lit internally by LED lights setting the dining atmosphere at night with sixteen different light color options. 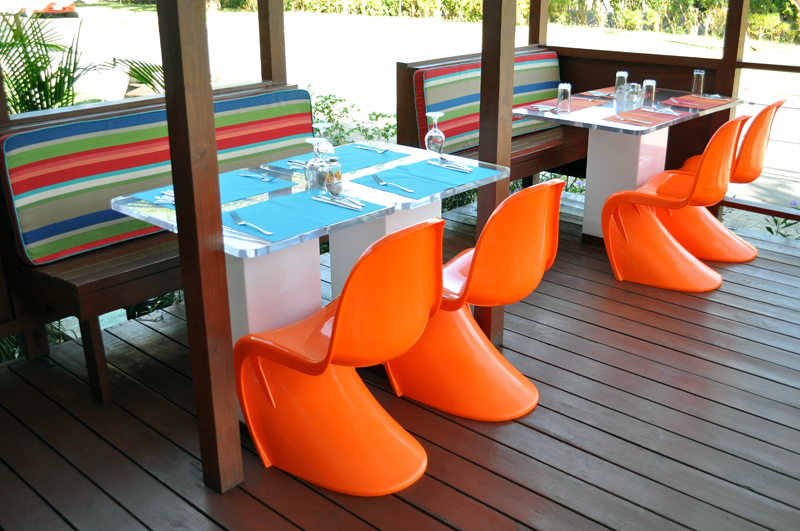 The orange designer chairs are comfortable and reflect the relaxed atmosphere of the tropics. FACEBAAR – Restaurant | Montego Bay, St. James This tapas restaurant features a semi-open kitchen, and indoor/outdoor dining. The printed acrylic countertop and ceiling art lighting hints at the more complex lighting system and design of the annex Facebaar Nightclub. 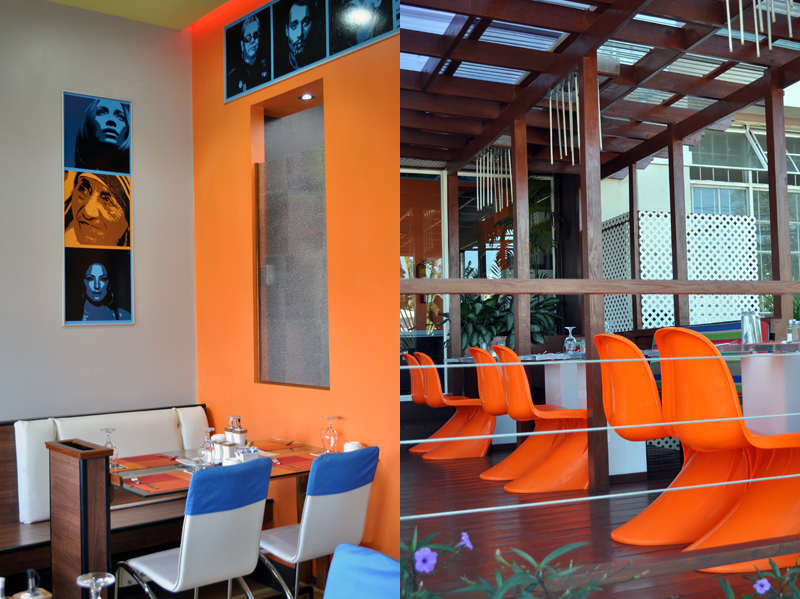 FACEBAAR – Restaurant | Montego Bay, St. James The tropics is a cornucopia of colors, light and textures. Mixing these elements can be a challenge to any designer. However, when masterfully done, the result is a stunning visual symphony. 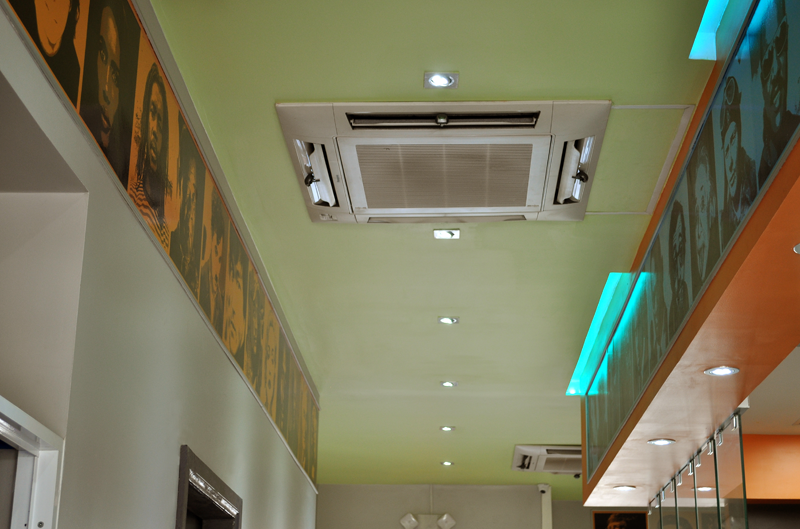 FACEBAAR – Restaurant | Montego Bay, St. James Lighting is important to the holistic design of any space. The newly designed ceiling and soffit, utilizes general lighting, task lighting, accent and art lighting. These layers of lighting ensure function and define moods. FACEBAAR – Restaurant | Montego Bay, St. James Your choice of indoor and outdoor dining. The outdoor dining deck with its wood floors, trellised ceiling, translucent panels to admit diffused light and its minimalistic steel cable rails now stands in a spot once only inhabited by grass. LED rain chandeliers are positioned over each table.